Predictive Analytics is a branch of data mining that uses a variety of statistical and analytical techniques to develop models that help predict future events and/or behaviors. It helps find patterns in recruitment, hiring, sales, customer attrition, optimization, business models, crime prevention and supply chain management to name a few. As we move to self-learning organizations, it is imperative that we understand the value of Business Analytics in general and Predictive Analytics in particular. Strategic Perspectives: Not all organizations are the same and thus what works in one organization might not work in yours. Based on the knowledge of your organization’s maturity, you have to decide if Predictive Analytics is going to be a top down, bottom up, cross functional or a hybrid approach. Additionally, take into account what should be measured and for how long but be flexible in understanding that insights might be gained from data that might initially seem unrelated. 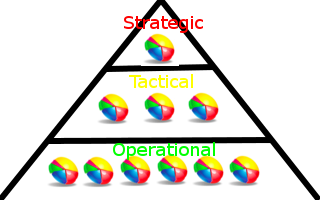 Tactical Perspectives: One of the key factors in Business Transformation is change management. You need to understand how change would affect your organization in terms of people, processes and technologies. You have to take into account the practical implications of this change and what kind of training is needed within your organization. Operational Perspectives: It is all about how execution of Predictive Analytics is done within your organization. To fully integrate Predictive Analytics into your organization, you have to learn from best practices, learn the pros and cons of your technology infrastructure and determine if the necessary tools are intuitive enough for people to make use of them. Who uses Predictive Analytics to make decisions? Who should use Predictive Analytics to make decisions? What happens to decisions when Predictive Analytics is used? What would happen to decisions if Predictive Analytics will be used? Where does the data for Predictive Analytics come from? Where should the data for Predictive Analytics come from? When is Predictive Analytics relevant? When should Predictive Analytics be relevant? Why Predictive Analytics is being used? Why Predictive Analytics should be used? When you ask the above questions, keep in mind that reliability of the information and how it is used within the organization is paramount. A pretty picture does not guarantee that the insights you get are correct but you can reduce decision-making errors by having people who understand what the data actually means and what it does not.